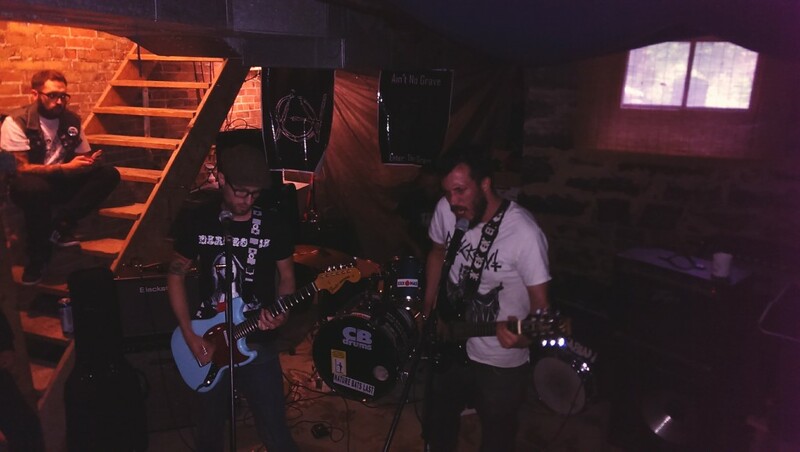 No Aloha, Alement and Ain’t No Grave were just what the day called for, playing a matinee show. There is something special about punk rock in the afternoon. The show was in a house on Gladstone, where veggie burgers and veggie dogs were also being served hot off the BBQ. 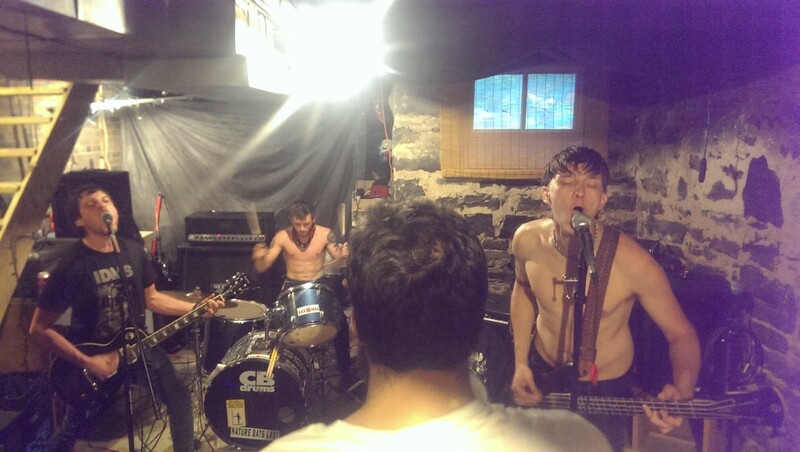 No Aloha fit right into Ottawa with their super catchy garage rock. Songs like “My Baby K” had people singing and dancing in the basement. They also gave everyone a taste of things to come by playing a new song called “BLT.” It was a wicked fun set and a great way to get ready for a Saturday night. Alement crusting it up in the basement. The secret band turned out to be Alement from Philadelphia. Alement played at a completely different pace than the other bands. Their style was reminiscent of crusty punk rock, which got a couple of guys moving. It was the first time I ever saw someone mosh in slippers. Their heavy and fast music was very loud and a cool mix between the other two bands. Ain’t No Grave playing during Finish What You Started Fest in Ottawa. Opening the show was local cow punk three-piece Ain’t No Grave. The band was pretty cool and interestingly had no bass player, just two guitars. Their instrumental tracks would sometimes transport me into a spaghetti western. Ain’t No Grave did a very good cover of Johnny Cash’s “Folsom Prison Blues” which I truly enjoyed. The guitar work on the track “Falling Through The Sun” sounded more like a banjo than a guitar.